Spiky, I realized afterwards that the wording ("impose") was too strong and weird. What I meant was providing "basic" things like running water, food, electricity, shelter, health care, education etc. worldwide (i.e. I didn't mean "ipads for everyone", although I disagree with Bordiga about shampoo). The more I think of it, the more Promethean the task seems. There is another problem with David Adam's article which nobody has pointed out so far. He makes out a case for Marx contemplating (though not insisting on) the idea of consumption vouchers based on labour-time in the early stages of communism and for envisaging labour-time accounting, but not for him supporting the system outlined by the Dutch Council Communists in their Fundamental Principles of Communist Production and Distribution..
Firstly, this title is rather tendentious, not to say pretentious. Marx made it clear that "full" communist production and distribution would be based on the principle of "from each according to their abilities, to each according to their needs". So this would be the "fundamental" principle. What the Dutch Council Communists were outlining would be only the "Temporary Principles of Communist Production and Distribution of Communist Society As It Emerges from Capitalist Society". Secondly, the Dutch Council Communists were criticising those they misleadingly labelled "State Communists", under which they included anyone who envisaged any role for a central administration in the early stages of a communist society to decide on what consumption vouchers should be based on or on the "price" of the products they could be used to acquire. Look at their harsh criticisms of the Social Democrats Hilferding, Neurath and Leichter and of the Bolshevik Varga and even of the anarchist Sebastien Faure for envisaging this. 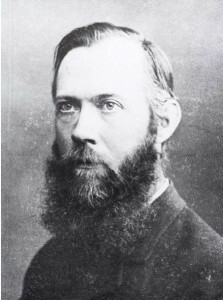 The quotes Adam gives suggest that Marx himself favoured “central planning” of the economy as a single unit and so would be a “State Communist” in the eyes of the Dutch Council Communists. Thirdly, what the Dutch Council Communists were seeking to do was to devise an automatic system for regulating production and distribution instead of central planning. They envisaged this coming about by tying individual consumption strictly to hours worked and tying the prices of the products strictly to their labour-time content, without any possibility of variation in either case (any such variation would be an exercise of arbitrary power by an undesirable central administration). In other words, they were trying to devise an automatic, self-regulating substitute to the market and so were trying to measure the labour-time "value" of products directly. This is why Marx's criticism of similar "labour money" schemes in his A Contribution to the Critique of Political Economy , the Grundrisse and elsewhere does apply to the Dutch Council Communists' scheme (though not necessarily to other schemes for distribution in communist society as it emerges from capitalism). Having be away from t'interwebz for a few days, apologies if what follows is somewhat retrospective or jumping around. Anyway, another problem which I imagine a post-revolutionary society would have to deal with is people who've never really worked, i.e. people able to work but used to living off the labor of others, some of whom will presumably be hostile to the new society. This includes people who formally earn a wage today, like politicians or priests, for example. I say universal obligation to work for those who are able to work seems as a reasonable solution, and the link between consumption and labor-time a reasonable measure to enforce it. Unless the measure is in contradiction to the solution. This is the distinction between a pragmatic critique and a moral one. If the means (wage) is in contradiction to the end (end of capital) the argument is a pragmatic one. If it was not in contradiction, but objected to on other, normative grounds, then the argument would be a moral one. It is vital to distinguish between the two. The usual difficulty with labour-chitters is they effect an inversion of the moral-pragmatic relation and claim that their own position is pragmatic, whereas the communist one is moral. In fact the opposite is the case. The pareconnies are at least explicit in the moral foundation of their anti-communism. They find the idea of "higher stage" communism objectionable on moral grounds - i.e. that people's right to consume should not be tied to their labour contribution is to them morally unacceptable, in any circumstances. The ortho "lower stagers" reject this "fair days work for a fair days pay" protestant work ethic... at least in the far off vista of the "higher stage", but in practice their arguments for retaining the wage in the here and now, echo the moralism of the pareconnies, except presented as "pragmatism". Which, of course, is only sustainable if the pragmatic communist critique (which I grant you, you don't hear much of from the "communizers", but that's another story) is ignored in the assumption that the communist critique is a purely ethical-moral one. But that leaves the orthos stuck in a cleft stick. Gosplan or the NEP? Market socialism or apriori central planning? It is certainly true that if we remove any semblance of consumer choice from the worker, so that what they receive as consumer goods, in exchange for their labour power, is predetermined according to the plan - removing any necessity for consumption to play a post-hoc role in allocation - then there is no need for a price system, nor is there any possibility of the law of value asserting itself. But then neither is there much role for the chits either, and any pretense of democracy, of "receiving back only in one form what was given in another", i.e. of labour-time accounting actually remaining tied to real values. I grant you the reason for these consequents - why the "democratic Gosplan" is unachievable - need to be demonstrated in detail. But the other side of the cleft stick is the "I-can't-believe-it's-not-market-socialism" direction. I.e. to allow consumer choice, to allow the exchange system to generate a price system (price being the modification of cost by demand, so as to serve it's allocative function - this is the substance of the Grundrisse's critique of time-chitters), i.e. once again for the unit of account to become money, rather than a record of cost accounting. The objections that labour certs can neither accumulate nor circulate are nonsense, as any ex-prisoner will tell you. The internal prison economy (at least in Ireland and the UK) functions based on the banning of formal money and all earnings recorded only as individual rights to purchase items of consumption at the prison canteen. Prisoners simply select an item of personal consumption (used to be tobacco, now phone cards) of relatively universal demand, and this becomes the money for circulation, exploitation and accumulation within the prison black economy. The key here is the commodity relationship. There is mutually-determining relationship between the commodification of labour and the production of goods as commodities. It is no good saying that under the "lower stage" goods will no longer be produced as commodities when the relationship between the worker and their own labour power remains commodified. If my recorded hours of work are put in competition to your recorded hours of work, to see who will gain the greater share of the social product as "compensation", then we are back to the fundamental bellum omnium contra omnes competitive relation that is the foundation of capitalist relations. The wage is the commodification of labour - the exchange value by which all other exchange values are originated/measured - and whatever are the results of such production, are commodities. And here the paradox of the wage emerges. If I produce the same output in less than half the labour-time, then less for me and more for you - if I am fool enough to declare it. In a market socialist economy I can produce more and accumulate from selling the excess at market rates (based on lower average social productivity). In a centrally-planned economy that route is not open to me (although siphoning some extra product off into the "blat market" as "rejects" is usually possible - but of course blat is not a market economy subject to the law of value either...) but what is possible is the reduction of the portion of my working day that I actually spend any time doing socially productive labour - which was why most workers in so-called "worker's states" actually spent most of their time not working. I'm a bit disappointed by this discussion. If we are to go on, I suggest we turn to GIK's text. Frankly, I've only started to read it after reading David's article, and although I haven't finished yet, I can already tell that a lot of critical posts here were written without much regard for the actual content of the text. So if you've all read it, please stick to it if you want to criticize it; if you haven't, or don't remember the details, maybe you should give it a go and then present a really devastating – or at least textually accurate – criticism. This is why Marx's criticism of similar "labour money" schemes in his A Contribution to the Critique of Political Economy , the Grundrisse and elsewhere does apply to the Dutch Council Communists' scheme (though not necessarily to other schemes for distribution in communist society as it emerges from capitalism). No, it doesn't. In GIK, the average labor time is measured by the producers themselves, and the total stats are kept by a specific unit (which is part of the sector that's fully "communized" from the start, a "general social use" establishment). Moreover, the target of Marx's critique in were projects which kept commodity production intact – i.e., enterprises would trade and compete. None of that happens in GIK. The only "trade" is the exchange of labor vouchers for means of consumption by individual producers. However, you are correct in pointing out the GIK's disdain for central authorities. They go to great pains to demarcate their system from central planning and emphasize that everything is in the hands of workers councils and the supreme economic council. Why is that a bad thing? They envisaged this coming about by tying individual consumption strictly to hours worked and tying the prices of the products strictly to their labour-time content, without any possibility of variation in either case (any such variation would be an exercise of arbitrary power by an undesirable central administration). What textual basis does this have? The Factor of Individual Consumption (FIC) thus becomes ever smaller in a degree proportional to the growth of communism. Moreover, from the very start there's never a perfect corresponedence between the average labor-time expended and the labor-time "consumed" due to the accumulation fund and deductions to the fully communized sector. You are right, though, to point out the "objective" nature of the system (probably in part motivated by the socialist calculation debate, of which the GIK seem to have viewed Mises as the winner), in the sense that the books are open to everyone, the relationship of the producer to the product is transparent, and everyone knows what's going on. Again, how is that bad thing in itself? Ocelot, are we still talking about GIK? Because I'm not sure if your criticism (interesting as it is) still relates to that. If you look at their text you will see that they were arguing precisely against a central authority and a priori planning on the one hand (what they call "social-democratic" or "state" communism) and market socialism on the other. There's certainly none of this in GIK: "to allow the exchange system to generate a price system", with "price being the modification of cost by demand, so as to serve it's allocative function". Labor-time is purely a unit of accounting in GIK's text. Precisely. And that's what's wrong with their whole scheme. Since Mises was wrong in claiming that without some "objective" factor such as prices determined by the market no rational organisation of the production and distribution of wealth was possible, the GIK scheme is unnecessary. It's a proposed solution to a false problem posed by an implacable opponent of communism. The GIK uncritically accepted that Mises's claim that "central planning" was unworkable, even impossible, and so devised their own self-regulating alternative to Mises's "free" market, i.e. the fixing of pay and prices in accordance with the free (from interference by any "central administration" which in anarchist fashion they equate with "the State") operation of the objectively determined "average social hour of labour". The science of the Socialist economy recognises only one single economic master: society itself, which, without reckoning of profit or loss, without the circulation of any form of money, whether it be precious metals or 'labour money' reflecting an economic plan, organises production without the aid of any unit of accounting control and distributes the means of life according to Socialist principles. the producers shall have allocated to them products in exchange for their labour-power on the basis of norms which have absolutely nothing to do with any system of labour-time accounting. On the contrary, it is the social statistician and the subsistence physiologist who should determine the quantity and quality of life necessities which the human individual needs for the maintenance of life, and it is they who "fix a definite number of labour-hours which correspond approximately to the minimum necessary for existence" (page 64). It is by this means that the "standard scientifically estimated and balanced ration of life necessities" (page 64) is determined. This minimum ration, reflecting a physiological subsistence norm, then becomes the basis for payment. What possible connection is there between this and the system of labour-time accounting in production? Let us now turn our attention to the prices of products as Leichter conceives them. Although we would have expected that in this case at least the social average production time would have been valid as the determinative basis for the prices of products, we find that in fact this is by no means the case. Leichter, however, is not the only one to seek his salvation in a "price policy": Varga also makes this the centre of gravity in a communist system of distribution. He differs only from his colleagues Neurath, Leichter, etc. only insofar as he approves in principle of a system of equal distribution of the social product. We have already noted that state communism of the Varga brand knows nothing of any economic scale of measurement determining the distribution of raw materials and means of production. The allocation of materials needed by industry for current production is carried out solely "by order of the relevant authorities" and is in no way determined objectively by the process of production itself. From the point of view of both social and economic policy, industrial production thus leads to a total fiasco. In social policy, because producers end up in a situation of total dependence upon those authorities which allocate the products; in economic policy, because under a system of distribution based upon subjective administrative assessments the needs of reproduction are not guaranteed. In short, any departure from the strict application of the "average social hour of labour" as a result of a decision of a central administration is denounced as "subjective" and "State communism" and, as Mises claimed, leading to chaos..
Marx's criticism of "labour money" is applicable to the GIK scheme because that scheme claims to be self-regulating way of deciding production and distribution on the basis on an objective "average social hour of labour" that is supposed to correspond to "socially necessary labour-time" under capitalism. But, as Marx pointed out, it is not possible to calculate this "average" in advance because of changing productivity and fuctuating demand. What's wrong with a central administration as long as its not a State and is democratically accountable? Fair enough. Good point. People might also like to familiarise themselves with the similar blueprint for a labour-time voucher economy put forward by the SLP of America by reading Daniel De Leon's Fifteen Questions About Socialism. This will allow the blueprint to be judged independently of the general political position of those who advocate it. In other words, bring out that it's not an exclusive Council Communist idea. I'm sorry I haven't had more time to think about and post on this thread, I'm too busy with stuff I have to do right now. 20 years ago I was into Mary Poppins so cut me some slack grandpa. David Adam frames his text as a refutation of Dauve’s critique of the GIC on the grounds that Pannekoek, the GIC, and the Grundprinzipien, was faithful to Marx. That, however, can’t resolve the question of labor-time accounting as the basis for production and distribution in what Marx, in the Critique of the Gotha Program, designated as the lower stage of communism. The problem may, indeed, not be the GIC’s, but Marx’s in 1875. In the CGP, Marx did not portray labor-time accounting as a manifestation of the law of value. In that very restricted sense Adam is correct. Again, however, that doesn’t resolve things. The GIC did not, of course, have access to the bulk of Marx’s manuscripts for his critique of political economy; we do today. So, the question, then becomes, in the light of a reading of those manuscripts, and, in the light of nearly 150 years of capitalist “development” since then, how should communists today see the use of labor vouchers as the basis of communist production and distribution in Marx’s lower stage of communism? Adam acknowledges that labor vouchers will disappear in the higher stage of communism (p. 4), so they are clearly incompatible with a human community beyond capitalism. What, then, is the reason why labor vouchers are preferable to immediately providing many goods and services (for example, transportation, housing, electricity, heat, etc.) based on need, or at worst on some kind of system of rationing? Even Paul Mattick in his introduction to the republication of the Grundprinzipien (1970) raised questions about the need for labor-vouchers, though Adam doesn’t mention that. The real question, though, for me, is that labor-time accounting is yoked to the value-form, that it presupposes the existence of abstract labor, a core category of capitalist social relations of production. Adam claims that labor-time accounting pertains only to the production and distribution of use-values. But as Marx has shown in his manuscripts (The Grundrisse and the 1861-1863 manuscript for Volume I of Capital), use-value yoked to labor time is subjected to the law of value. It’s there, I would argue that the issue has to be addressed, and not over whether the GIC was faithful to Marx’s CGP. Marx did not spell out what must be changed in order for directly social labor to be a sustainable reality. But one thing is certain. Just as the dogma that labor is directly social, and therefore equal, “does not become true because a bank believes in it and conducts its operations [accordingly],” it does not become true because the Central Committee of the Party or the federation of workers’ councils believes in it and conducts its operations accordingly. The equality of labors is not something one can impose by fiat, passing a law, or agreeing to count all labor equally[...] lasting changes in the political realm must be grounded in changes in the mode of production, not the reverse. So for Kliman, production determines distribution. I believe David Adam (another regular contributor to the MHI website) writes something similar in this article. [...] if the economic relations are such that different labors aren’t actually equal, counting them as equal will be a principle at loggerheads with practice. For instance, if we “declare” that the labor of a surgeon and a nurse’s aide are equal, it is almost inevitable that a black market for surgical services will quickly emerge. Either that, or “we’ll” have to enforce the equality through military-state power that has no prospect of withering away[...] So the issue is not whether we count different labors equally-politics is not in command, despite what Mao said-but whether the social relations are such that different labors actually count equally. The task is to work out what such social relations are, and what is required to make them real[...]This is one of the most fundamental tasks we face today, I believe. The most important question, however, is whether or not such a "certificate" or "book-keeping" system, as the type in the GIK or the type touch-on in the CGP, really would be tied to the Law of Value. The answer in the affirmative seems to be because a "type-of" exchange occurs- an exchange which is, supposedly, essentially capitalist. Textually, however, it appears Marx certainly believes the "lower stage" he barely outlined in the CGP would be genuinely communist. This is consistent with his critiques of utopian-socialists, starting with the Grundrisse, up through the CGP. However, Marx could certainly be wrong on this one and that is what should concern us. That is, what should concern us is whether or not such a system really would give rise to a fully developed communist society rather than back to a capitalist one. I find Marx's, and Adam's, arguments to be quite persuasive, but to be honest, I'm not convinced. ...in taking Marx's Capital as a critique of actually-existing capitalism, we could well be overstating the power of capital[...] There's a tendency to deduce[...] that any time anything exchanges for a price, capitalism will be reproduced[...] Graeber sees it very differently. In the absence of state power, market exchanges tend not to give rise to the inhuman monster of capital (markets, and even wage labour, after all, have existed far longer than capitalism), but rather tend to be re-absorbed into a moral economy of a human society, a society to which Marx's account doesn't apply (e.g. Graeber's example of Islamic 'free markets' discussed above). Adam acknowledges that labor vouchers will disappear in the higher stage of communism (p. 4), What, then, is the reason why labor vouchers are preferable to immediately providing many goods and services (for example, transportation, housing, electricity, heat, etc.) based on need, or at worst on some kind of system of rationing? I think the argument as to why society would not go immediately into "from each, to each" is because of the very real problems of co-ordination. The revolution would have to be world-wide. Most countries are under-developed compared to the west and would need massive assistance. Shortages might occur, even in the west, if people could take too freely. I tend to believe, however, that this is an issue which needs more serious investigating, but by no means is it an entirely unjustifiable concern, the issue of coordination. Quite the contrary really. In fact, most average people raise such issues constantly when talking with communists about communism. These concerns must certainly be a major factor for why so many people believe there is no alternative to capitalism. The important question you raised, however, is why not some other system of distribution? Well I don't know, what kind of system do you have in mind? Lottery perhaps? Also, you raise a good point about the type of goods and services. Should some essentials be guaranteed right away? I don't see why not... that wasn't an issue raised until now, though. [...] if the economic relations are such that different labors aren’t actually equal, counting them as equal will be a principle at loggerheads with practice. For instance, if we “declare” that the labor of a surgeon and a nurse’s aide are equal, it is almost inevitable that a black market for surgical services will quickly emerge. Either that, or “we’ll” have to enforce the equality through military-state power that has no prospect of withering away[...] . This is a very odd argument for a communist to use against an equal distribution of consumption vouchers as it echoes justifications for income inequality under capitalism. It is, however, a logical conclusion if you insist on the distribution of consumption vouchers being linked to an individual's contribution to production in terms of the "average social hour of labour" (not that it is possible to measure an individual's contribution to the collective effort that is production). The GIK went further than this and insisted that this principle should also be strictly applied to the "prices" of the goods and services consumption vouchers could be used to acquire. And for the same reason: if they didn't reflect their "average social labour time content" this would lead to distortions and ultimately chaos. Both arguments ultimately reflect Mises's argument against communism and central planning as being economically irrational. That's why the GIK scheme should be rejected as non-communist. Well, personally I'm still only on ch 6 of the GIK text. Despite grumbling at Jura (* mock shakes angry fist *) for making me read it, I'm actually finding it quite interesting (if no less wrong). I agree that the acceptance of Mises economic calculation critique is one of the sources of the error, I think there is more going on than that. But I'll reserve final assessment until I've read the whole thing. 1. Using a slightly circular definition of the wage- i.e. the diminished return to labour of its “cost” of reproduction where the surplus product is being appropriated as surplus value. Such that “the right to the full product of labour” eliminates the wage as such. The “exact relationship of the producer to the product” is the key phrase in removing the mediation of value, exchange and the wage. This is the vulgar marxist value theory of assuming that SNLT appears at the time of production in the IPP of the particular locus of production - independently of wider social relations - including that of consumption (implicit Say’s law?). Also there’s a peculiar return to the doctrine of unequal exchange - i.e. that exploitation appears as the deviation of prices from labour-cost - we have returned to the ‘accumulation by force or fraud’ of the Smithian socialists. Leichter’s “price policy” here being the instrument of accumulation qua fraud. 2. Cost/price issue. Labour-time can only be measured as a cost when it is not contested. The fact of making the share of the social product returned to the producer proportionate to the “costed labour-time” actually makes the cost into a price. (this is admitted in Ch 4, re individual factories producing at a surplus or loss relative to the social average). The wage is the price of labour, exchanged as commodity. While the critique of the “prices policy” of state socialism is correct, what is not seen is that each individual production unit has the opportunity of operating its own “prices policy” by misreporting its local average labour time. The “price problem” is not simply a top-down issue, but also a horizontal one. NB, as a system of bureaucratic subjectivity. Whereas the virtue of labour-time accounting is it’s “objective” nature. The obscurantist/transparent dichotomy is associated with this, but the subjective/objective diad is primary. 5. “Toothpaste” issue - implicit assumption that social product is homogeneous and undifferentiated (or always shared in exactly equal proportions) c.f. Keen on impossibility of DSGE aggregate demand curves. 6. “Time is inescapably an element of cost” - yes, but not necessarily restricted to labour-time. Trivially true that all material cost elements, whether c or v, have a time dimension, due to 4-dimensional nature of reality. Hence CO2, water, etc, all accounted for within a given time period. But the idea that distribution according to labour-time accounting could itself be an antagonistic mode of distribution, is never properly considered. Mostly because of their assessment that Mises critique of CiK calculation is correct leaves no room for alternatives. The technological pessimists here seem to be assuming that when socialism/communism is first established free access to available goods and services will be the exception and rationing (because that's what we're talking about) the norm. That may well have been, or would really have been, the case in 1875, perhaps even in 1931 but, surely, not today. I suggest that today the situation will be the other way round: free access the rule and rationing the exception. There's nothing wrong with speculating about this but it is rather ridiculous for us now to be trying to draw up a detailed blueprint like the Dutch Council Communists' one for what should be done. That's not only utopian as it doesn't (and can't) take into account the exact conditions that will exist then, but it's also undemocratic in that it's dictating to those around at the time whose decision it will be. Someone (Jura, I think) suggested earlier that it won't be possible to supply everyone on the planet with an Ipad. Why not? An Ipad is only a glorified mobile phone and so not all that difficult to manufacture in huge quantities. Already mobile phone use is spreading outside "the West", if only because this is cheaper than building an infrastructure of land lines from scratch. I agree that this wouldn't be a priority (increasing food production to eliminate destitution and malnourishment would be), though spreading the use of mobile phones could help in this. OK, I'm a technological optimist. Dave, if I wanted to tease you, I'd say this is value-form analysis at its best . Seriously though, great article. I'd love to translate it (along with your previous piece on the State) when I have time. The mystical character of commodities does not originate, therefore, in their use value. Just as little does it proceed from the nature of the determining factors of value. For, in the first place, however varied the useful kinds of labour, or productive activities, may be, it is a physiological fact, that they are functions of the human organism, and that each such function, whatever may be its nature or form, is essentially the expenditure of human brain, nerves, muscles, &c. Secondly, with regard to that which forms the ground-work for the quantitative determination of value, namely, the duration of that expenditure, or the quantity of labour, it is quite clear that there is a palpable difference between its quantity and quality. In all states of society, the labour time that it costs to produce the means of subsistence, must necessarily be an object of interest to mankind, though not of equal interest in different stages of development. And lastly, from the moment that men in any way work for one another, their labour assumes a social form. I think the second passage in bold is crucial. All economy, including a communist economy, is economy of time. Labor time playing some part in the economy is a necessity. Whether it appears in the specific form of a property of things is contingent upon the division of labor. Maybe Dauvé's misguided criticism is some sort of an "anti-positivist" prejudice towards measurement in general ("You can't quantify human creative activity" because a unicorn dies whenever you do that etc.). You are very accurate and I agree. I have no need to read beyond your explanation. Just talking ("speculating," as you say) about a particular "blueprint" isn't dictating to anyone. Also, this paragraph you wrote above is self-contradictory. At first you say "nothing is wrong with speculating" but then at the end of the paragraph you say, "it's also undemocratic...it's dictating." lol! but who are you to dictate what can and cannot be debated? Why do i ask? Because that is what you seem to be trying to do! Sorry,but your point really makes no sense. I think that Kliman is arguing for an an equal distribution of the social product, but with consumption tied to hours worked. One key difference between this and capitalism, as far as "remuneration for work" is concerned, is that everyone's labor would become equal. therefore, there wouldn't be any "unequal income." One persons hour of labor would be equal to any other persons hour. ... certainly true, but based on what I argued previously about "equality of labor's"- which is itself based on Kliman's piece, I don't think this concern would apply. The question that has really yet to be answered, however, is: how does "equality of labor's" become a reality? This cannot be something which is just declared to be true , and then so becomes true. The social relations must be transformed. So how does this happen? These are the questions that Adam's piece leads us to and these are the questions that Kliman asks at the end of his paper that I cited. this point interests me a lot. I used to read a lot of arguments by austrian-schoolers in support of the "socialist calculation" problem. I don't believe it is insurmountable, but it actually is a real concern. the Socialist calculation thing, as Mises put it, might be overblown and fallacious because it assumes a sort of state-communism, but we should not dismiss any claim's or concerns that issue's of coordination could potentially be a problem in the early stages of a communist society that is emerging from a capitalist one. Other than the finer points discussed above isn't there a much large issue with the whole "withering" theory presented again. Seems odd not to take this more seriously considering that previous experiments have shown that systems and organisations tends to have serious inertia and that in any system vested interests that work for the continuation of the system develop. In my view it's a terrible idea to propose that society should go through a massive transformation building a complicated society wide infrastructure (mainly organisational) and to expect years later to transform society again as if no momentum has been lost. Even a technically "failed" system seems able to chug along on the fumes of culture, habits and organisational structures. I don't seem to have been clear enough. I was trying to draw a distinction between "speculation" (ok, nothing wrong with that) and "drawing up a blueprint" (not ok, as laying down what must happen). The Dutch Council Communists' document is very much a blueprint, but it's not the only one. Michael Albert's "Parecon" is one too. If they agreed they were just speculating that would be ok, but the detail into which they enter and insist on being followed shows that they are doing more than this. That's what I was objecting to as undemocratic because of trying to lay down the future, not to discussing their blueprints. I imagine that's what Marx and Engels thought of Fourier's "phalansteries". Ocelot's points are good. Mine are perhaps less substantive but here goes. As Capricorn says, this seems like a strange argument. It seems like a strong argument for parecon instead of labor vouchers and but not at all an argument for labor vouchers as such. The implication that labor vouchers might help planning/coordination are a whole issue that I'll otherwise pass over since it's not an argument Marx makes AFAIK but we can still look at the question of labor vouchers and world-scale redistribution. The thing is, the lack of a developed production system could be an argument against unlimited distribution but it also doesn't seem like an argument for labor vouchers. The alternative is the direct, per-person rationing of scarce goods. This approach, lacking anything like a normal market, would be less subject to black markets. Further, any labor voucher system would require considerably more "controls" and "price-like" behavior than simple rationing and thus it would require more effort to implement, effort that might be expended in simply getting past the scarcity. I mean, the Kliman point about labor vouchers is strong but in the sense that it shows that labor voucher can serve as leverage for a return to capitalist relations. Further, the argument that a communist society would involve lots of direct distribution to third world nations should tell you something. The workers in Africa say, would certainly then not be receiving the results of their labor power divided in any fashion but would instead be receiving the results of the ultra-productive laborers of the West, China and East-Asia. Society would be immediately doing "from each according to their ability, to each according to their need" on a world scale. So "paying" African workers by their hour would be only an exercise in control/pseudo-fairness since the "real payoff" wouldn't initially be coming out of the results of their labor but in the goods arriving on the docks. Of course, an important point along with all this is that a communist society wouldn't/shouldn't be aiming to give everyone in the world a Western-style consumption pattern or dividing the Western consumption pattern into fractional parts for the whole world. Rather, the aim will have to be for a production system that more than meets direct physical needs and which meets social needs via a return of community. I remember the last time the whole labor voucher issue raised it's hoary head, the pro-voucher group talked about the need to ration things like theater tickets and meals in upscale scale restaurants. My assumption is that a communist society would lack celebrities and envy of the elite, would have small-scale communal theatres where local performers entertain their friends and neighbors, would have communal kitchen that produced food with possibly more skill than the dubious quality of even expensive restaurant, would still the Internet, and so-forth. IE, society could meet human needs fairly quickly and with considerably fewer resources than American suburbanite expend today in living miserably. But hey that just what I think, perhaps the answer is that instead of immediately creating a utopia of simple, socialized abundance, we should spend centuries of education until a society of equal work distributes luxury automobiles, gold Jewelry, Suburban McMassions, iPhones, meetings with celebrities, Dinners at five-star restaurants, Hollywood Movie tickets and seats at Broadway Musicals in a self-managed, according-to-your-labor fashion (though how you'd distribute ins with celebrities equally is quandary). good post red, i think that the aid to the 3rd world could be one reason why workers, in the west especially, would receive the "diminished proceeds of labor" (see the CGP) rather than the full fruits. u get a portion tied to hours worked, minus some taken for those who cannot work and for the general wealfare. sorry, all i can write, for now. but I do not think it's wrong to even come up with "blueprints". Just the act of working out how things might be is not dictating to anyone in the future. Just because albert and hahnel wrote a book called parecon does not dictate anything to anyone. Dictating means just that, giving orders and setting policy. A book that works out possible future alternatives to capitalism is not, in itself, setting any policy. In fact, it can be a very useful exercise and could spare future people the trouble of figuring out important things under pressure. I think there needs to be a lot more of these kind of discussions and writings. nothing wrong about that. I have been working on an article about the series Mitchell wrote in Bilan in the 1930s on the period of transition, which include a fraternal polemic with the GIK's book (the Bilan articles can be found on the ICC's website, under the heading of International Review 128-132 http://en.internationalism.org/booktree/2145). Dave sent me a copy of his article and although I think many of Mitchell's criticisms of the GIK's schema are correct (particularly their severe underestimation of the political dimension of the transitional period), reading it made me re-think Mitchell's argument that the measurement of production on the basis of labour time necessarily involves the value relation, which I think has been a direct influence in the approach of Dauve and the 'communisation' current. Dave certainly demonstrates that Mitchell's view doesn't really accord with Marx's on this point. This is a very interesting discussion and I will try to come back to it when I have more time. I'm sure this will be his position and that he doesn't favour unequal labour-time "pay", but I don't see why a communist society would need to seek to make everybody's labour contribution equal. "From each according to their ability ..." assumes that people's contributions will be different. Kliman's position, as you describe it, seems to be "from each according to their equal labour contribution, to each according to their equal labour contribution". But why, too, should everybody's needs be considered to be equal? You do say that Kliman (nor anyone else) does not have a solution as to how to make everyone's labour contribution equal, but I imagine it would have to be along the lines of sharing different types of work equally. But while it will be possible for a surgeon to wash patients and empty bed pans I wouldn't want to be operated on by a nurses' aide, though I'm sure that both could, and should, have an equal say in the way a hospital is run. But, I repeat, why is it necessary to devise schemes for trying to make everyone's labour contribution equal? The real "fundamental" communist principle of production and distribution is "from each according to their ability, to each according to their needs" ,i.e., "from each according to their different ability, to each according to their different needs". Even if, in the early stages of communist society as it emerges from capitalism, it might not be possible to satisfy everybody's needs fully, production and distribution could be organised on the basis of "from each according to their different ability, to each according to the democratically-decided reasonable needs of people in the same situation" rather than this equal time for equal time business which is only a reflection of what is supposed to happen ideally under capitalism. As far as why it would be necessary to make all labor's equal: I might be going out on a limb here, but I think, for MHI and/or Kliman, it is to prevent a group or clique of skilled people and others from gaining and holding monopolies on their skills and work and thus using this position to form an exploiting elite. If you watch, on the MHI site, some of the video's where Kliman talks. I think the one "is an emancipatory communism possible"and the one with a panel including Michael Albert, he makes this exact sort of argument about education and dispersing skills. Seems like an insurmountable task, no? I have no clear opinion on this yet, honestly. This leads back to the problem mentioned by Cooked. The more effort you are going spend on and the more elaboration you add to this "transition" system, the harder it would be for it to wither away. Now you (or Kliman's hints) are committing to an, at least, decade-long program to equalize the social value of each person's labor power in order to compensate them equally in order to make the transition phase more palatable. Not that education is bad, of course. But the waiting for a perfect world before we get real communism thing has a long, nasty history to it. well i'm sorry you found it disturbing, red. the last thing i want to do is to "disturb" you, haha. but in all seriousness, I'm not so sure if his idea of this "communist-education system" would be implemented simply during the transitional (transformational in his terms) period. It seems it would be the situation forever and always. Education is a life-long, never-ending process, no? And please, think of the children! It seems like you're dodging the argument I make above. If we need to achieve equality in labor-value before the end of the transition, then the transition is being planned to last a long time. And overall, it illustrates how finer the detail with which you look at problem of making sure everyone consumes equal labor time and everyone creates equal increases, the more problem increases in difficulty. As a guide for planning, "from each according to her/his ability, to each according to her/his needs" actually looks better. A planning committee merely has to determine available resources - abilities, and planning goals - needs. Naturally, you need to discover the means to meet the goals/needs most efficiently, which is the challenge of planning. But the problem doesn't have the "tight couplings" that a labor-value economy would have.